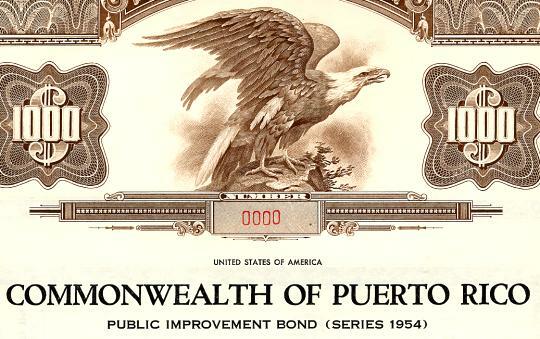 To access our analysis of Puerto Rico bonds by insurer, see this. The July 28th, 2015 Puerto Rico debt restructuring announcement by Governor Padilla should have come as a surprise to no one. However, the stocks of the insurers standing behind more than $11.8 billion of Puerto Rico municipal bonds have declined significantly since then. We have analyzed the bonds of the largest Puerto Rico bond issuers and compared the prices of similar issues with different insurers. The difference is striking. National, Assured, and AMBAC appear to have the market's confidence, while CIFG, XLCA, and FGIC do not. Simply put, the market appears to be pricing in the certainty of a restructuring/reorganization/default and is looking through the bonds to the insurers. You can access our analysis here. For information about securities expert Jack Duval, click here. For my previous coverage of the Puerto Rico municipal bond crisis, see this.